WE PROUDLY SERVE HOUSTON, KATY, MISSOURI CITY, SUGAR LAND, BROOKSHIRE, AND MORE! Call today to setup appointment. Save up to $1,500 on New Units. SUMMER IS HERE, KEEP COOL. Spring and Summer AC maintenance can help your ac unit operate at tip efficiency and save you money. $50 OFF Any A/C Repair! Just mention this deal and we'll take fifty bucks off any repairs. Up to $1000 rebate and a $1500 Tax Credit. Aibourne is one of the best, top rated AC Repair Company in Houston, TX. Airbourne’s HVAC Repair Technicians are licensed and insured, and provide flat rate pricing on all ac repairs before the job is started, so there’s no surprises. Airbourne AC Replacement and Installation Service, serving the Houston metro area. All of the Airbourne HVAC technicians in are Licensed and Insured to work on most brands, and we're an Accredited Member of the Houston BBB who maintains a strong A+ rating. Airbourne's ac maintenance service can provide even bigger savings for homeowners. Often, our technicians find small problems that can be fixed quickly and inexpensively during the tune-up process. If neglected, these same issues can be very costly. Call today and get help today. 24/7 Available for anyone needing relief from the heat. We're highly rated among Homeowners and Businesses as we've worked hard to earn our reputation. Airbourne offer various finance options to meet your needs for most repairs or new equipment installation. 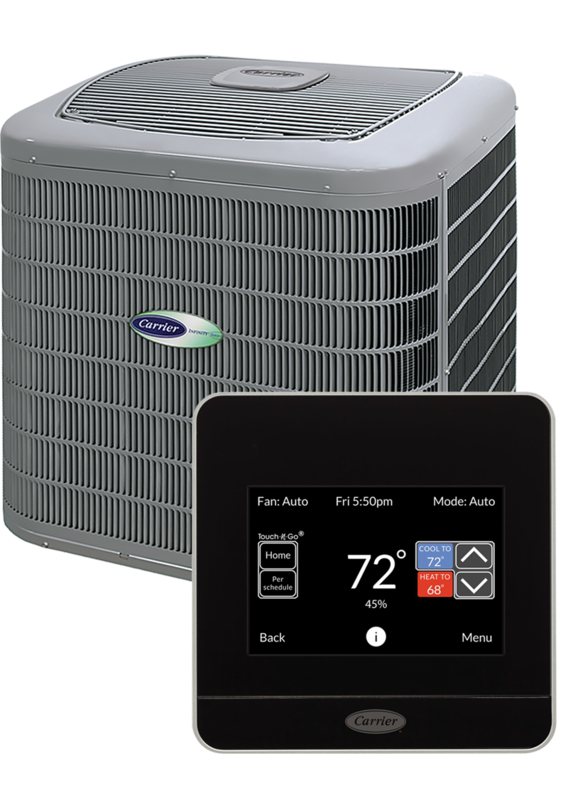 Our highest-efficiency Carrier brand heating and cooling solutions providing maximum savings and more presice home comfort. your experience as a customer. Call today to setup an appointment. We try to earn each and every job and customer and we will always honor our committments.